Although I love sewing, I seem to have rekindled my love for the art of crochet. It all started with the Braided Blizzard Crowl I made in January (my first crochet project in about 20 years!) 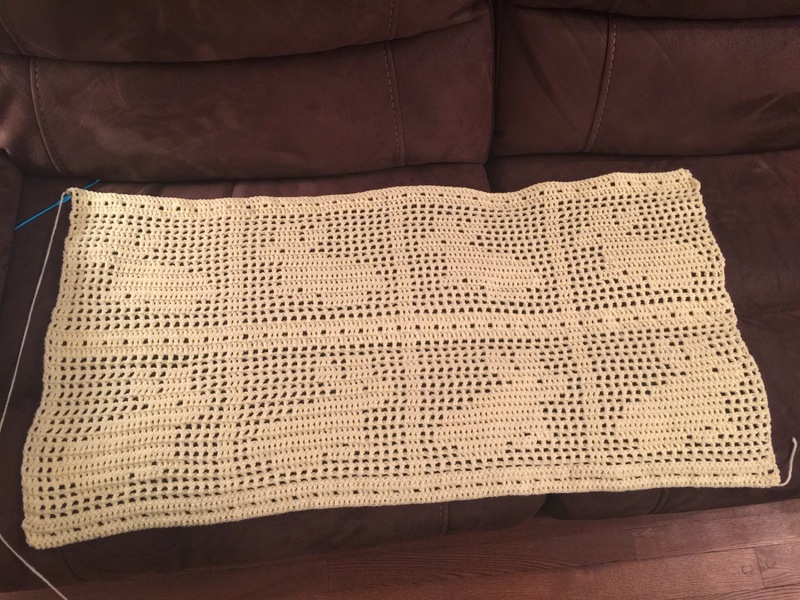 and then recently, I stumbled across a free pattern for an adorable Filet Crochet Bunny Blanket! 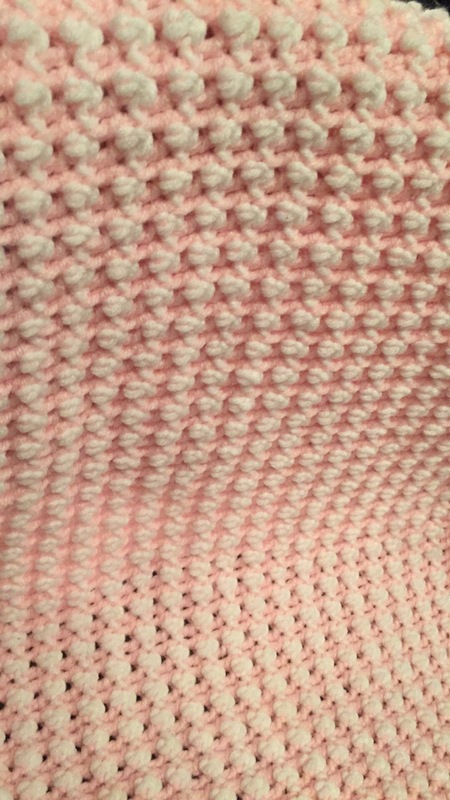 Well, since I had never heard of filet crochet or tried to make anything with a filet crochet pattern – I was determined to give it a go! There are TONS of free patterns on the web for filet crochet projects using yarn and even ones you can crochet with string such as doilies, place-mats, beach bags, and even dresses – from the simple to the elaborate! In fact, after seeing so many patterns out there, I think it would be easy to make my own pattern just by using graph paper and X’s, and add whatever crochet edging would fit the style. Take a look around the internet and you’ll see what I mean. Have you started any new projects this year that you’re glad you jumped in to? So this may seem like a silly question to those of you who have been sewing garments for any length of time, but for a novice like me who’s only made craft-type things and hasn’t sewn anything wearable – I found it to be my first question when I brought out my bright, crisp, and beautiful fabric in preparation for my first-ever clothes making project! Should I wash the fabric before cutting it…or is it really necessary to take that extra step?? Will it really make a difference one way or another?! Okay, okay…so it’s not really clothes that I’m making..it’s an apron! : ) I’m excited about it though and I’m even attempting to follow a store bought pattern. Of course, I have used patterns before…but they were those easy templates printed from the internet that guided me to outline a shape, or I’d draw my own pattern to make a crafty project…but a real pattern on that flimsy, thin paper from an envelope for what seems to be a simple apron was…well – it was kind of intimidating when I laid it all out! Then, this fabric question popped into my head! Wash it? Don’t wash it?? What to do!? As usual, I went surfing (on the internet of course) and found a great article about this exact subject at Makeit-Loveit.com and thought I should share it with all of you since you too may have had the same question! After all, if I have heard conflicting opinions, maybe you have too! Some quilters say NEVER to wash the fabric first, some crafters say it’s not necessary, and others say that washing fabric ahead of time may cause the colors to fade and only delay starting your project! Still, there are some who swear that washing beforehand is the only option, without exception. Opinions on this subject may still vary but what I found to be the best choice was…(drum roll please…)….WASH, DRY and IRON….and always, always, ALWAYS iron after washing. I admit, I hate ironing. Ironing the freshly washed fabric, however, ensures proper measuring and cutting, and makes the fabric easier to work with than a freshly washed and dried crumpled and twisted piece of fabric would be. 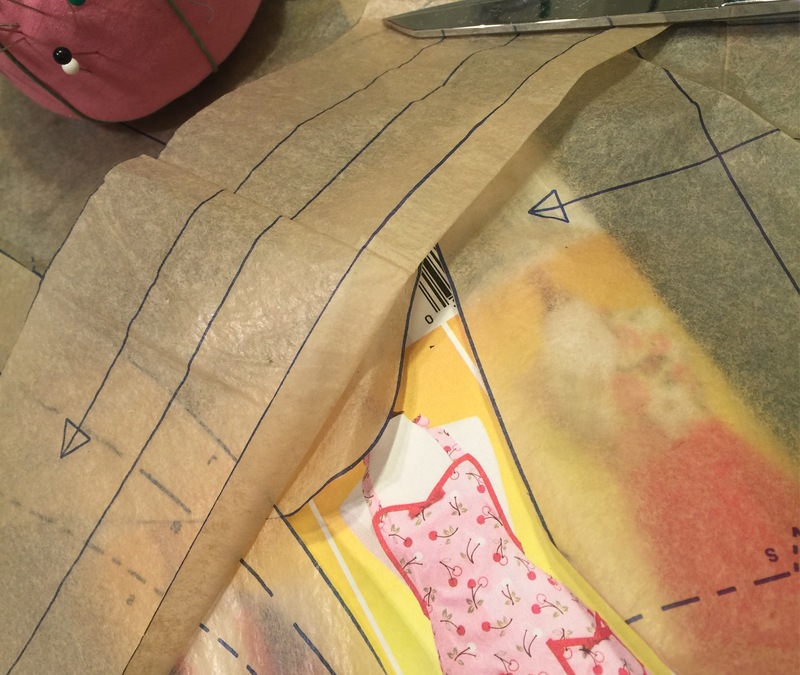 If you want to know more, click here for the ins-and-outs of why fabric should always be washed before sewing anything – yes even before sewing those crafts! You’ll also learn why we should wash our crisp new fabric as soon as we bring it home from the store! Hopefully this little tidbit of info will help you get more out of your sewing experience and keep you happily sewing along! If you have any sewing tips you’d like to share, I’d love to hear from you! As I mentioned in my last post, I LOVE HEARTS, and this Whimsical Heart, filled with an array of buttons, is my latest project! Perfect for decorating this Valentine’s Day! A pretty cute gift idea too, don’t you think?! This quick creation has personality and is popping with color and texture! 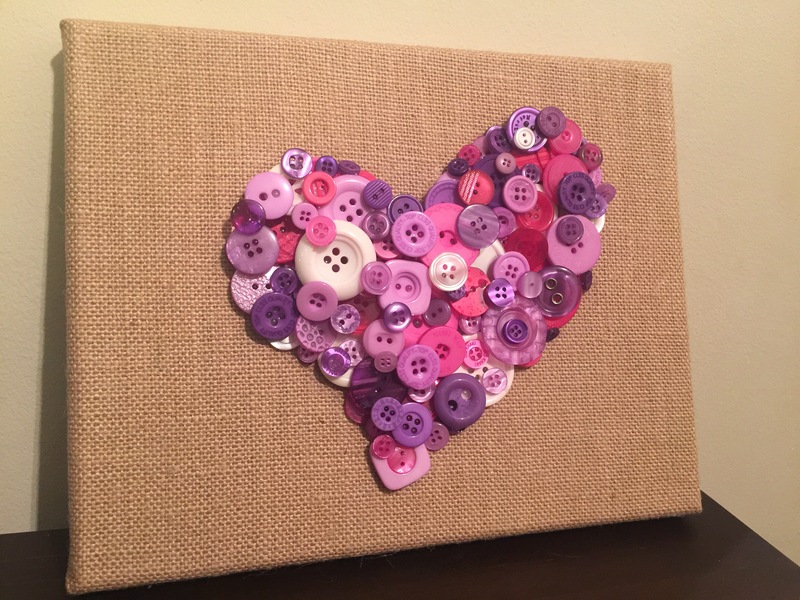 I used buttons of all shapes and sizes, layered and hot glued onto a stretched burlap canvas. Everything was conveniently purchased on Amazon.com and delivered to my doorstep! What’s easier than that!? These little eye-pleasers are great for Valentines Day (or any day really) and the canvas can be hung on a wall or propped on a shelf or mantle! Not a burlap fan? 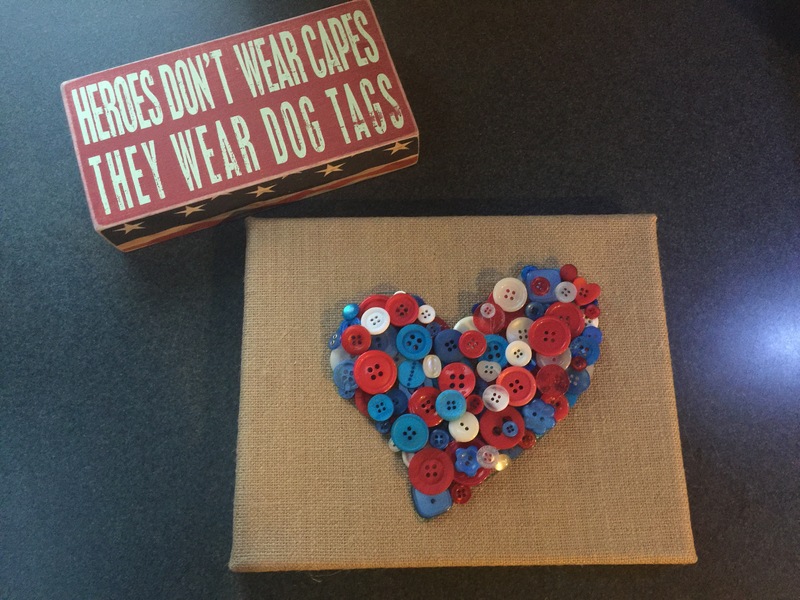 ?…you could use white canvas, or hot glue the buttons to a patterned fabric and frame it! I think buttons are fun and are great for decorating up just about any space, and for any occasion! 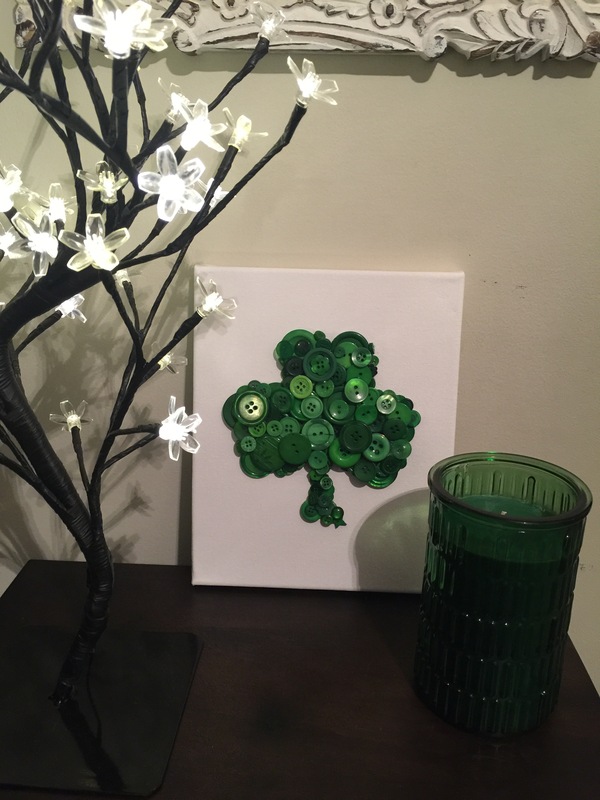 Click here for more Button Projects on Pinterest! The ideas are endless! 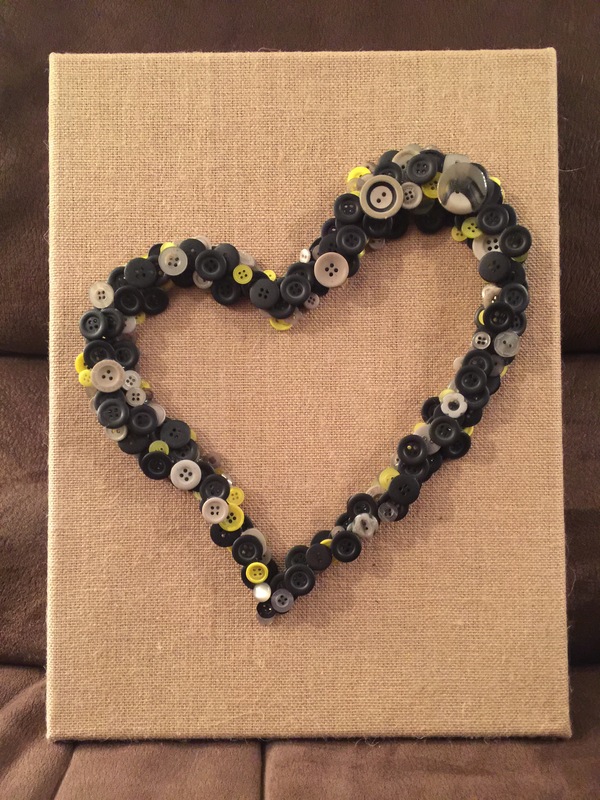 Have you made a project using buttons? I would LOVE to see your creations! Happy Valentine’s Day everyone and THANKS for stopping by! Just a quick update to show you that this Button project is open to other ideas too! Here are a couple of my other projects; one is on stretched burlap canvas, the other on stretched white canvas. I am happy to report that not only did I survive the Blizzard of 2016 here in the DC/Metro area of Maryland, but I have also completed some fun projects while at home with nowhere to go! One of my favorite projects was this Double Layered Braided Crowl! I found the free pattern here at the My Hobby Is Crochet blog after seeing a Tweet from @petalstopicots! 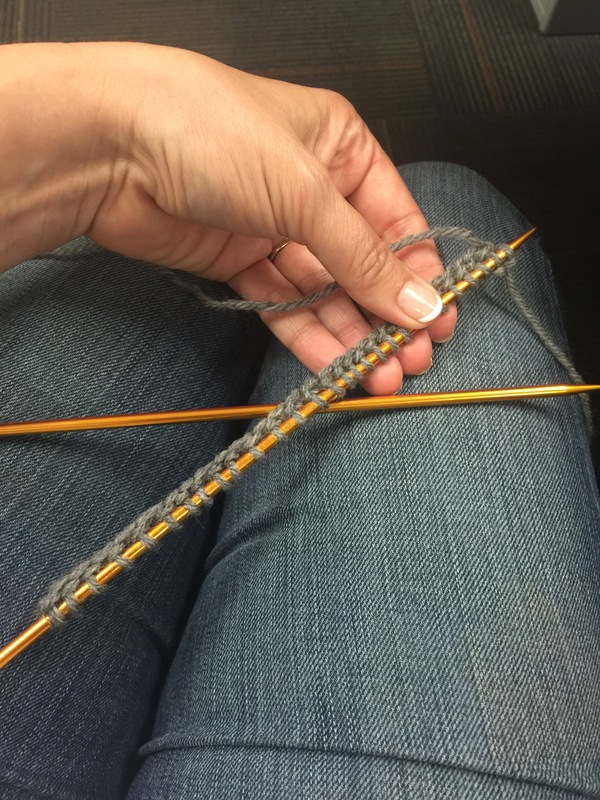 Thanks to this fun project, I even learned how to do some new stitches like the HDC in 3rd Loop, Front and Back Bar, simply by watching this video tutorial! So, while this crowl scarf was my first crochet project in at least 15 years, it was pretty much like riding a bike! 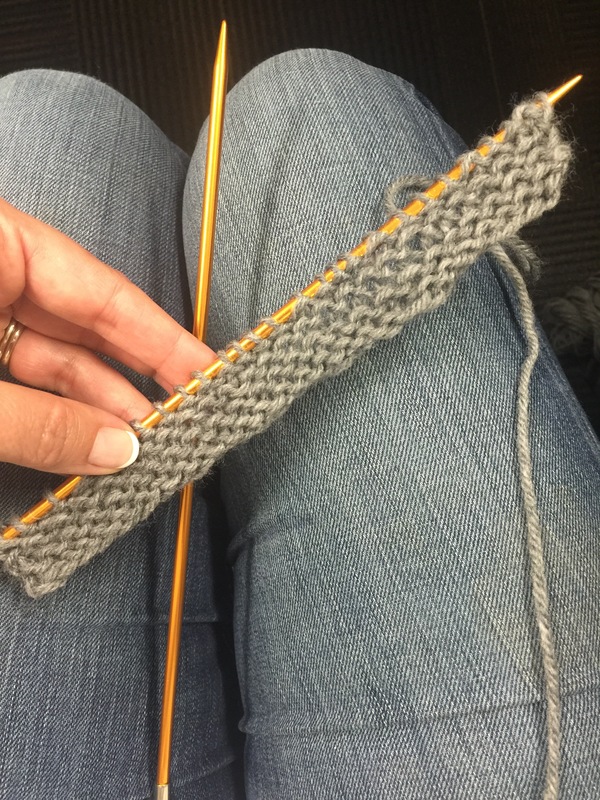 My hands and fingers seemed to fall into place with the yarn and hook like I had never stopped crocheting, and the scarf was completed in what felt like no time at all. This project absolutely inspired me to pick up an old passion and play with yarn again! What project have you picked up recently that rekindled your love for the craft? A while back ago, I morphed together some ideas from various blogs and made a Mixer Cover for my Kitchen Aid using double faced quilted fabric and bias tape. I figured that since it was going to be living on my counter, I should decorate it with a pretty cover and keep the dust off of it between uses! I’m a huge fan of the double face quilted fabric, and here’s why…The pattern choices are plentiful, the coordinating colors are beautiful, and the quilting adds character and saves a lot of time – so fun projects like this can be whipped up quickly! Another perk…it’s reversible! What have YOU made with double faced quilted fabric? I’d love to see the projects you’re Sew Giddy about!